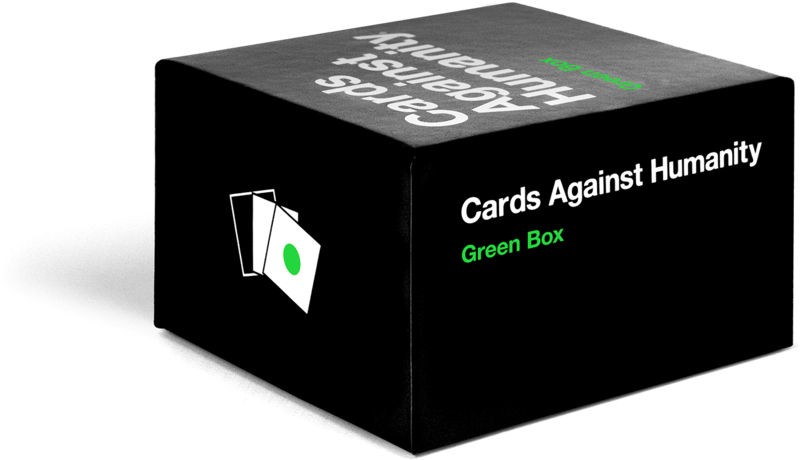 Product Description Cards Against Humanity: Absurd Box The all-new Absurd Box contains 300 mind-bending cards that came to us after taking peyote and wandering the desert. 300 brand-new cards to mix into your game. This one's pretty weird. This is an expansion. Requires the main game. You have nothing to lose but your chains! 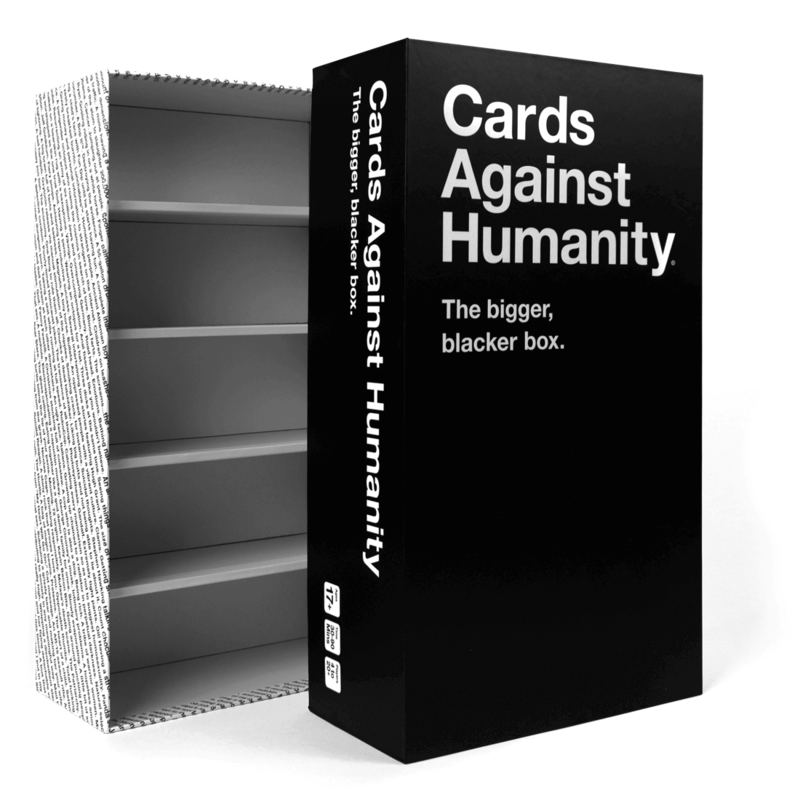 The Bigger Blacker Box is a tremendous, empty storage case that can hold Cards Against Humanity and every expansion. 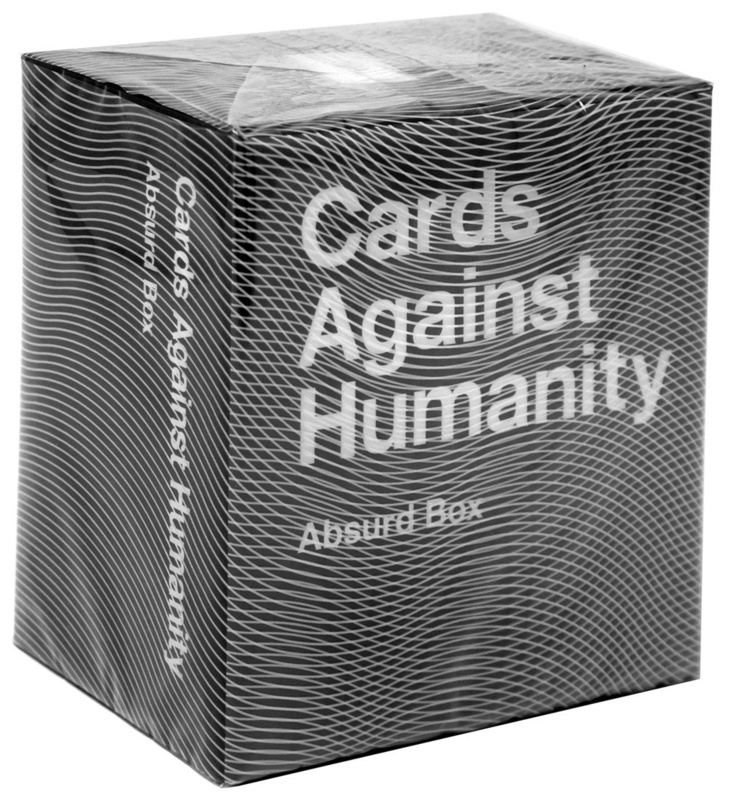 Now redesigned to hold the entire expanded Cards Against Humanity product line! (60% more cards than before). 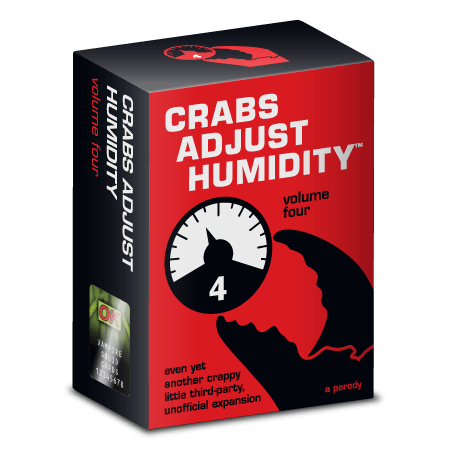 The official, tremendous storage case for Cards Against Humanity. Holds up to 2,500 cards. This is an empty box. 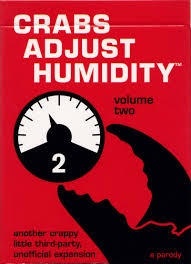 It does not include a copy of Cards Against Humanity. 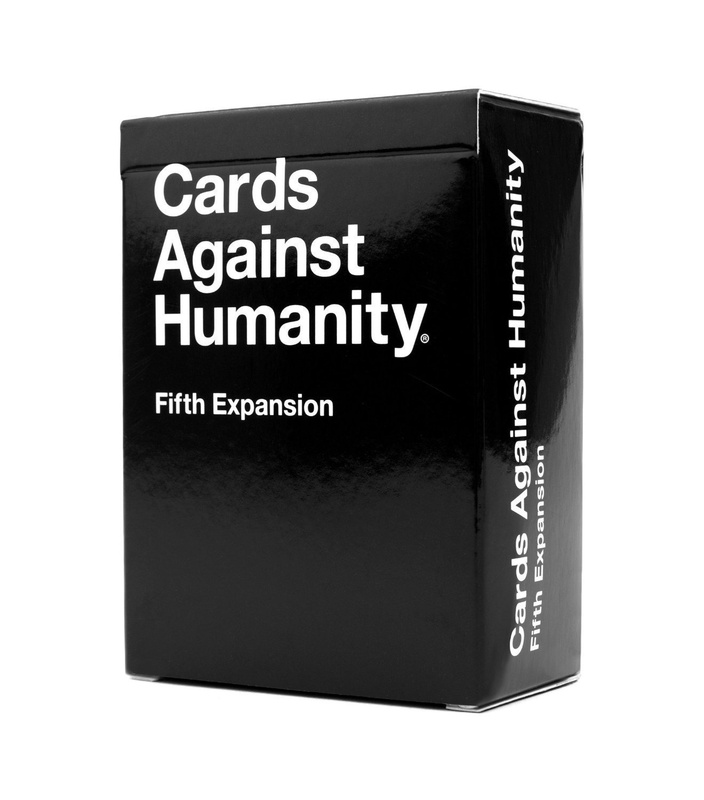 Includes 50 blank cards, the 20-card Box Expansion, and some special surprises. Who knows what's in there? We cannot emphasize enough that this is a huge, empty box. Please don't leave us 1-star reviews because you thought this box would not be empty. 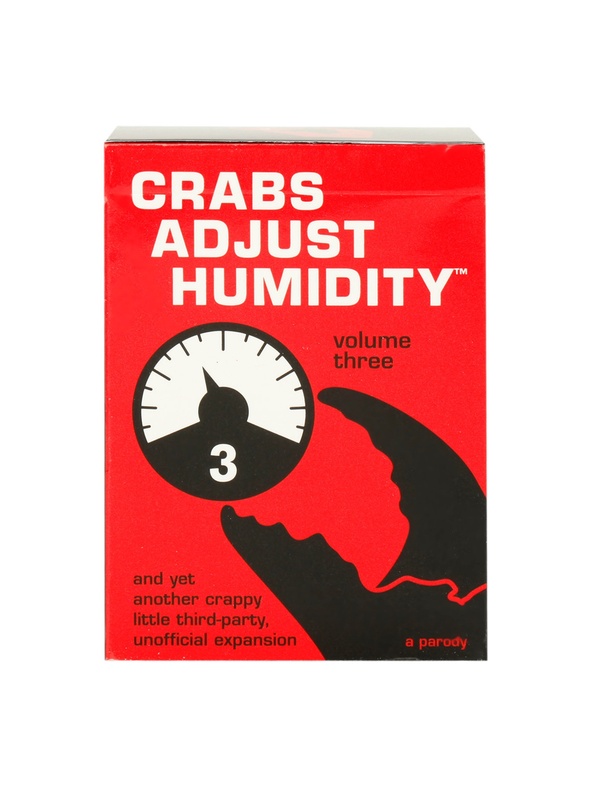 Love Cards Against Humanity?Enter Crabs Adjust Humidity, a crappy little third-party, unoffical expansion card set that blends seemlessly with the original and adds 112 new cards. 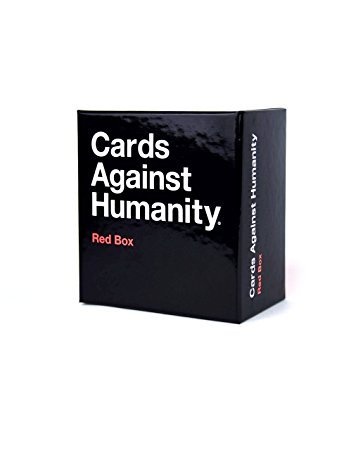 The Red Box contains 300 cards you can add to your deck of Cards Against Humanity, making it a better bludgeoning weapon against home invaders. Contains exactly the same cards that used to be in the First, Second, and Third Expansions. 300 more cards: 230 white and 70 black. This is an expansion. Requires Cards Against Humanity. Don’t you guys miss Barack Obama? 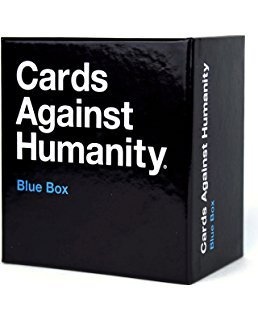 The Blue Box contains 300 cards you can add to your deck of Cards Against Humanity, allowing you to eat whatever you want without gaining any weight. Contains exactly the same cards that used to be in the Fourth, Fifth, and Sixth Expansions. 300 more cards: 220 white and 80 black. This is an expansion. Requires Cards Against Humanity. Voted against the war in Iraq. Cards Against Humanity is a party activity for horrible people. Each round, one player asks a question from a black card, and everyone else answers with their funniest white card. 550 total cards: 460 white and 90 black. This is the main game. Buy this first. Contains zero references to U.S. President Donald Trump. Wouldn't it be nice to laugh again? Cards Against Humanity is a party activity for horrible people. 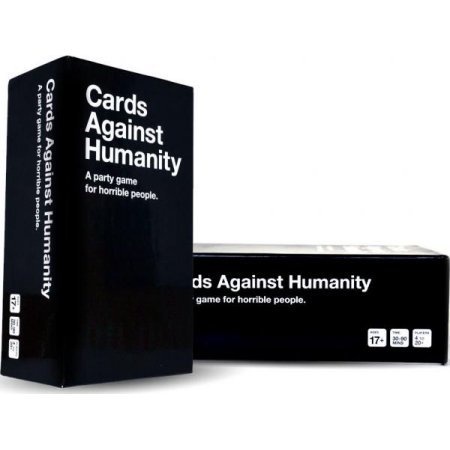 Unlike games you've played before, Cards Against Humanity is as despicable and awkward as you and your friends. The activity is simple. Each round, one player asks a question from a black card, and everyone else answers with their funniest white card.